The original, patented ADDI CLICK plug-and-knit interchangeable system. 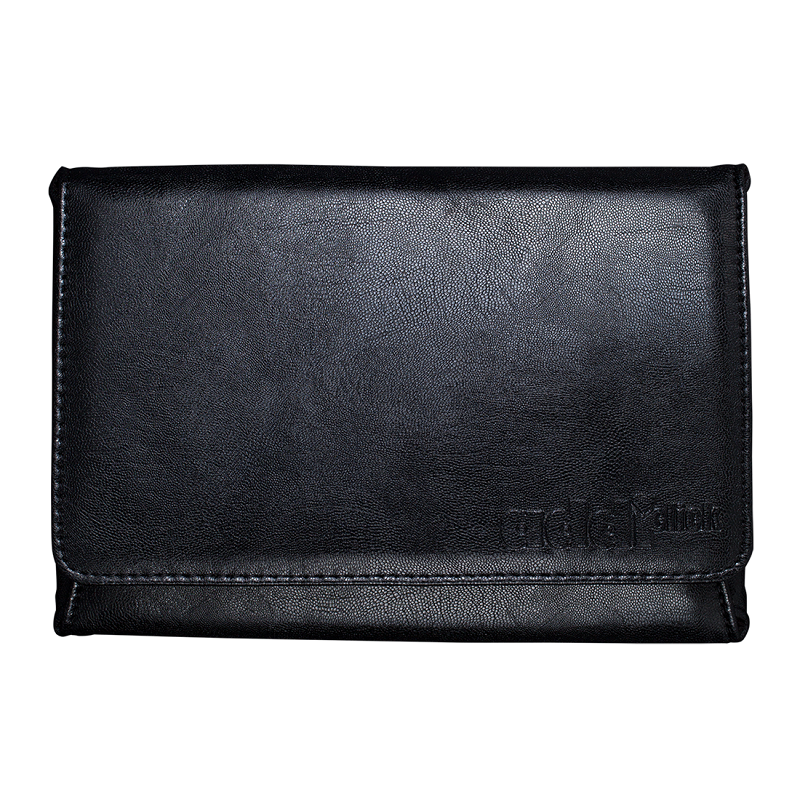 The black, wallet-style case makes this set compact and very portable - a lovely set! This is the ultimate in knitting convenience! 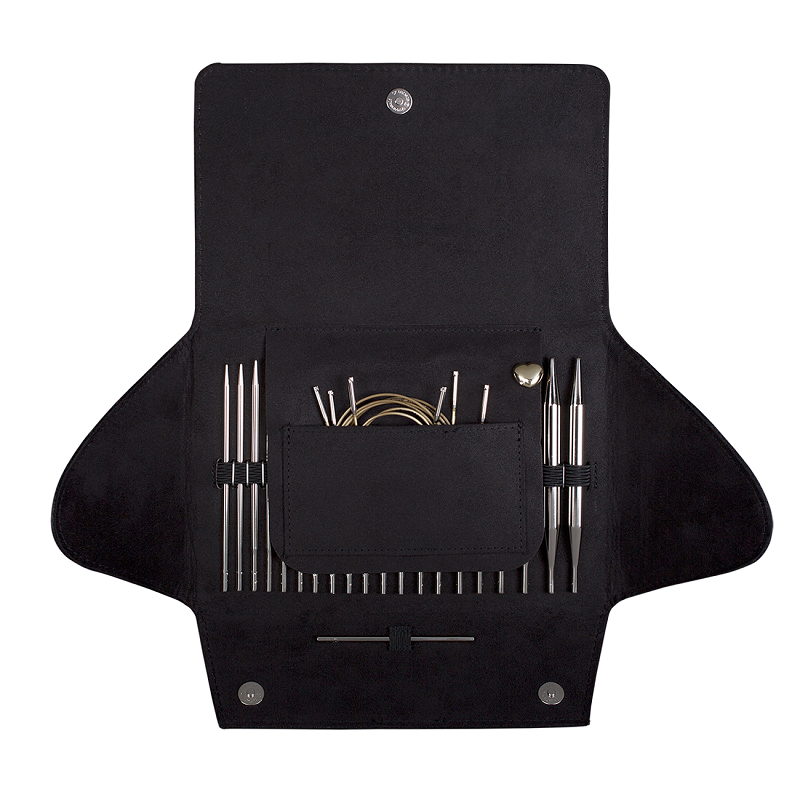 Lovely smooth nickel-plated turbo needle tips with gold cords in a stylish black wallet. 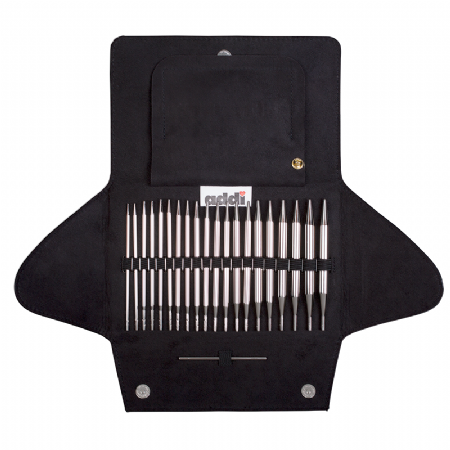 This top quality set allows over 500 possible variations in knitting needle size and length! You can create a longer cord by using the coupling to join two lengths of cord together and you can use two different sizes of needle tip to give extra textural interest to your knitting - you can use in combination with the ADDI CLICK CROCHET set and you can add extra tips or cords to your collection. Tips in additional sizes: 3.75mm and 6.5mm are available separately.